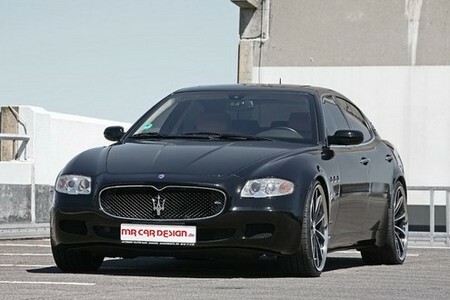 The Godfather of all luxury sedans, Maserati Quattroporte, has been lightly tweaked by MR Car Design tuning center. It’s a light package because the Quattroporte doesn’t need any sort of upgrade whatsoever. but Mr decided to give it a nice set of 22-inch Vossen wheels wrapped in 245/30R22 tires at front and 295/25R22 at the back and some new H&R springs that lower the car by a few inches. Engine-wise, the car gets a power bump from 400 to 430 hp and 480 Nm of torque. It also comes with a sport exhaust system that is truth be told an overkill. There’s no word on interior upgrades.